If you enjoy family dinner but don’t make it to the table as often as you would like, Plan Simple Meals will serve up some doable changes to get you there. If you know how to make good food but want to get your children on board, this book will show you how. If you have a child who was diagnosed with an allergy, a family member who is always sick, or a few pounds to shed, you will get step-by-step strategies to a new lifestyle that puts delicious gluten-free, plant-centered food at the center. 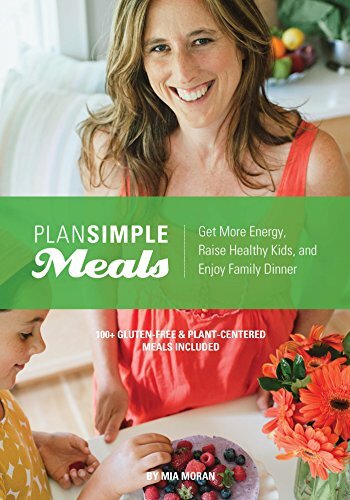 Plan Simple Meals is part cookbook, part parenting handbook, and part inspiration. Inside, a modern, busy mom will find recipes, formulas (‘cause what busy parent has time for recipes everyday), and strategies galore designed to help her create meals so each member of her family can stay healthy, sleep well at night, concentrate, and find joy. It is filled with gluten-free, plant-centered, low sugar goodness — and action steps for how to create a rhythm that fits food into your life.